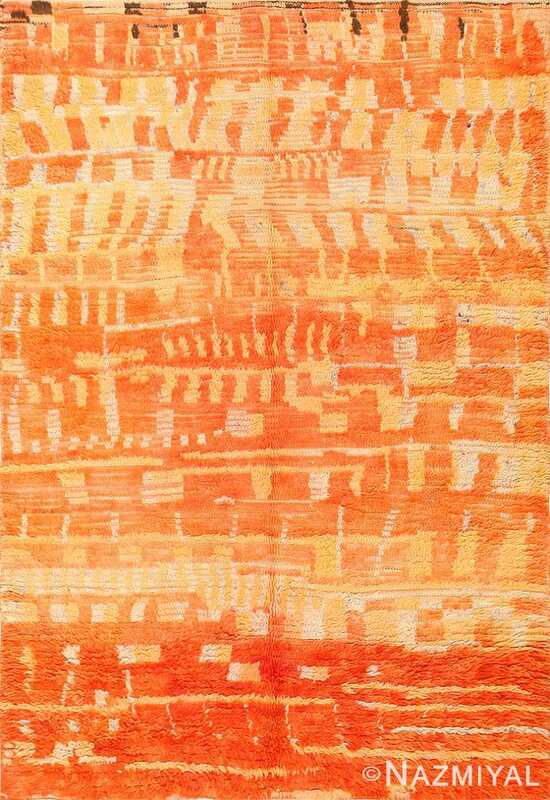 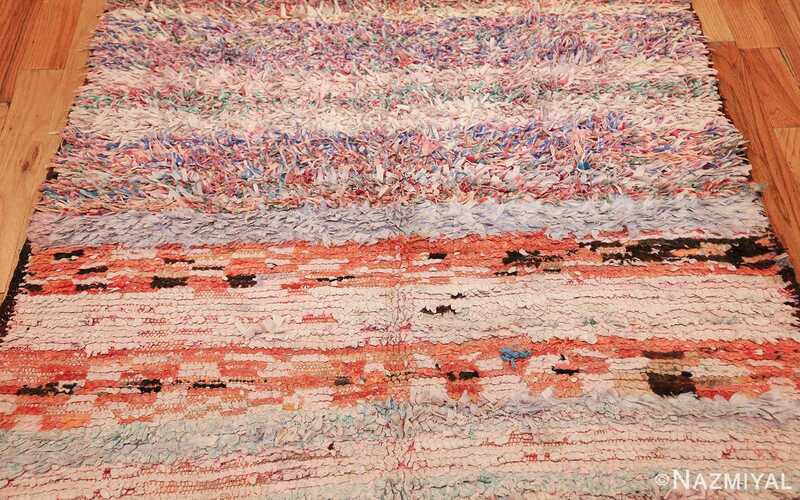 This eclectic vintage rug from Morocco captures an impressive array of textures, colors and repeating stripes rendered in an arid desert-like color scheme. 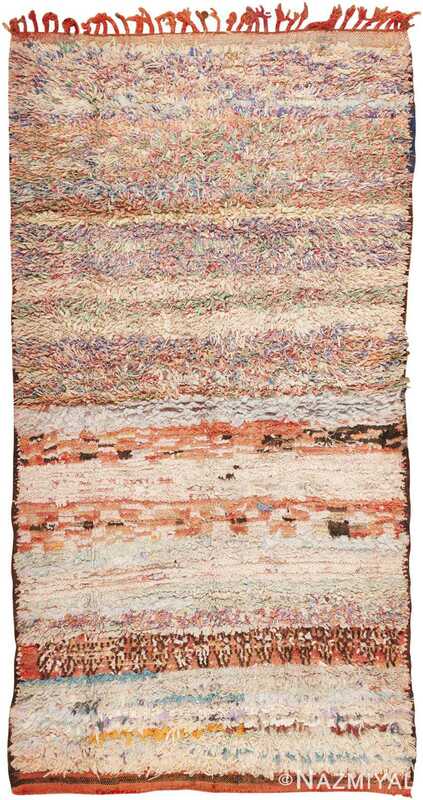 Beautiful Small Rag Texture Mid Century Vintage Moroccan Carpet, Country of Origin: Morocco, Circa Date: Mid 20th Century – Merging bold textures, delicate pastels and chic earth-tone colors, this stylish vintage Moroccan rug showcases an evolving series of elusive stripes, patterned bands, segmented details and intermingled colors that create a tempestuous pattern with colorfully variegated shocks of fiber. The boldly colored and exquisitely textured field, of this vintage rug from Morocco, captures a splendid array of bold earth tones, chic pastels and delicate neutrals. 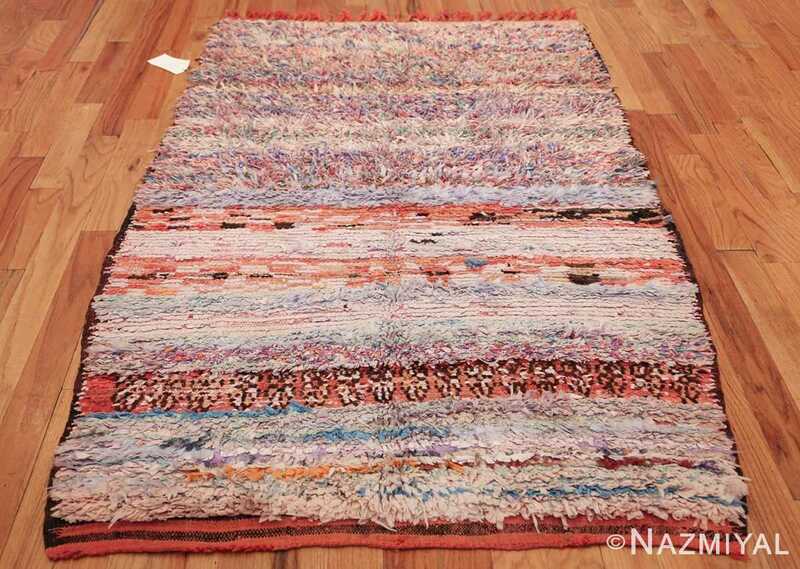 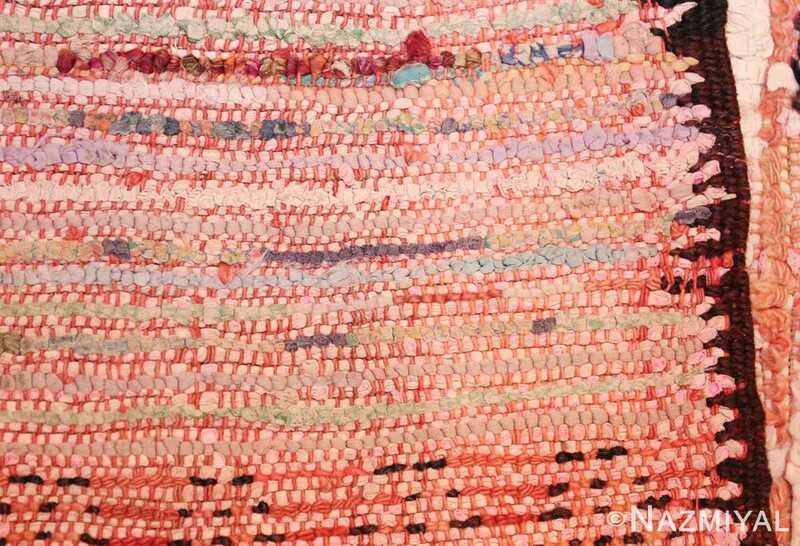 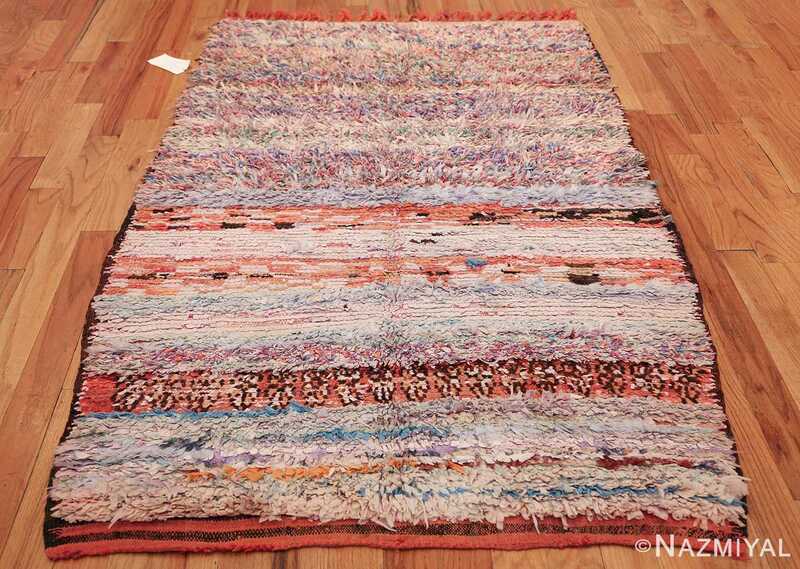 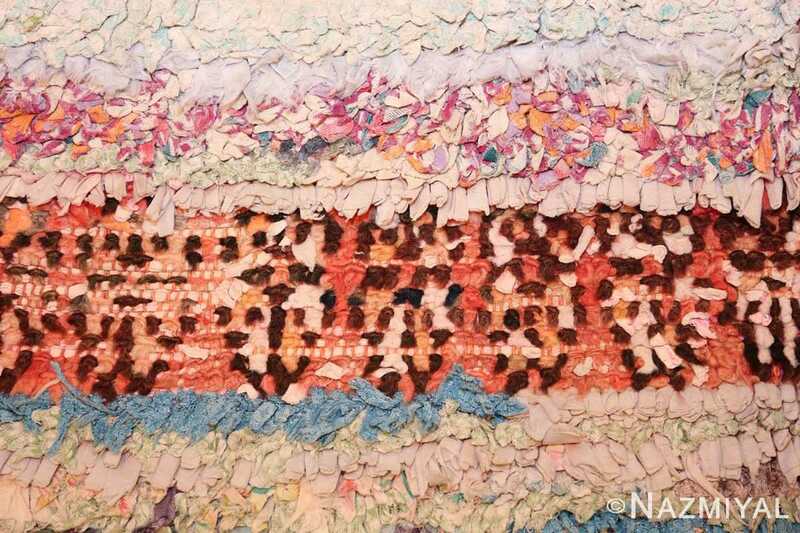 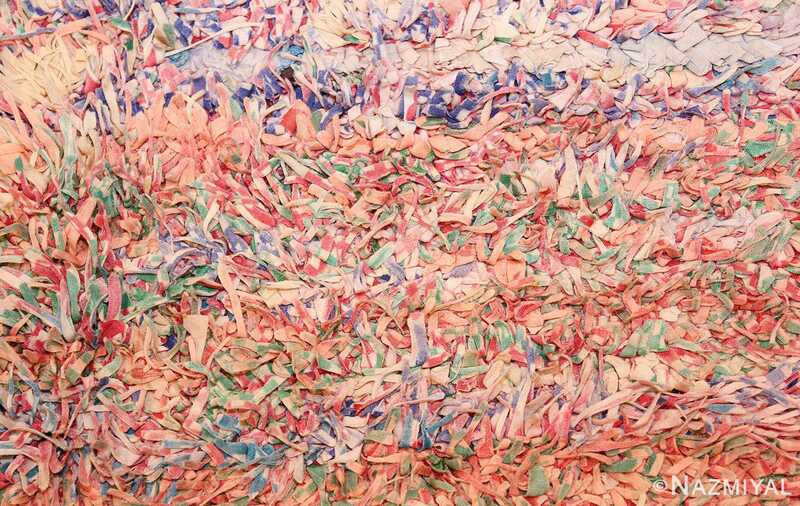 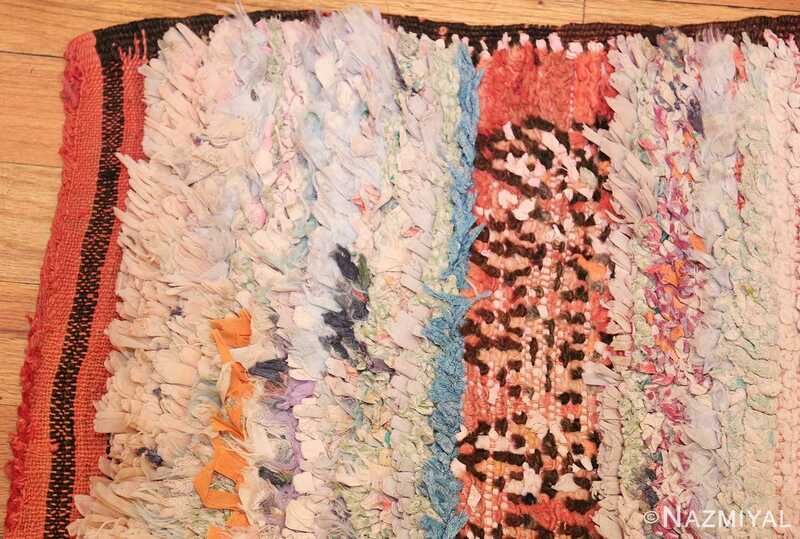 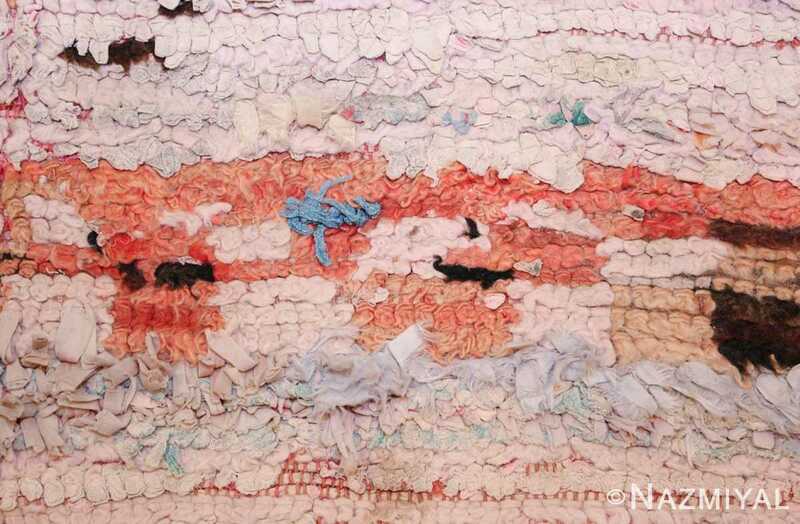 This vintage rag rug from Morocco is a great decorative piece as well as a beautiful work of woven art! 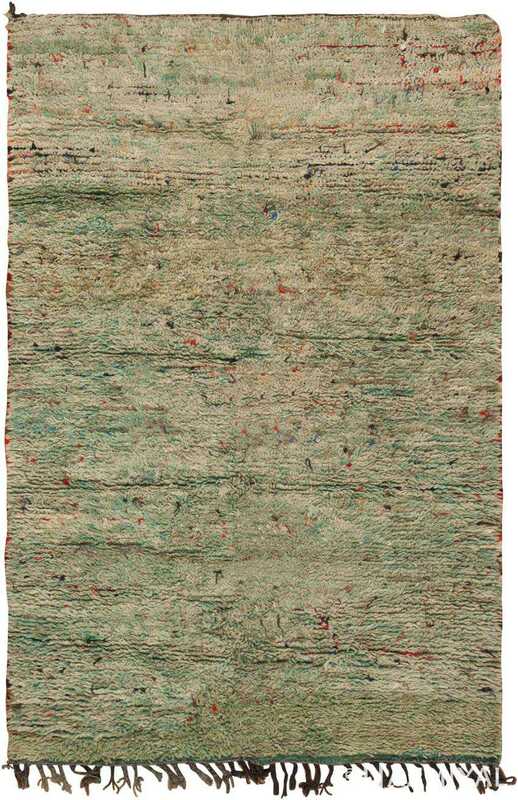 Created in Morocco, this sophisticated rug features a gradient allover pattern that transitions from turquoise-tinged celadon to pastel green mingled with ecru. 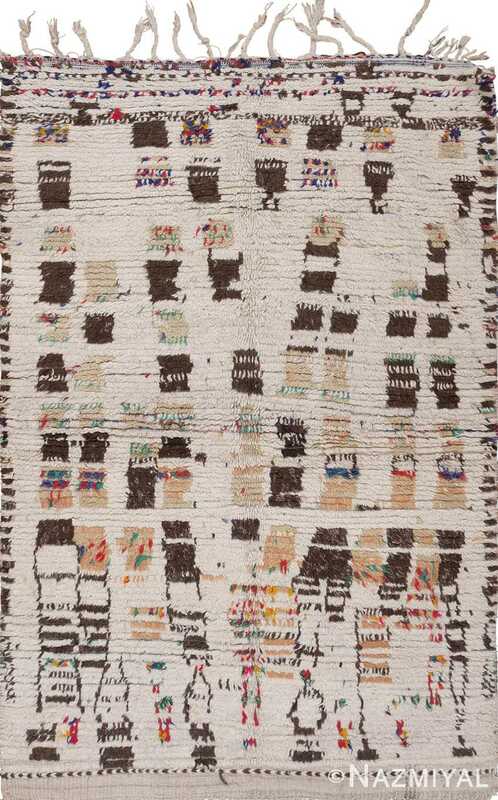 Charmingly modern, this marvelous mid-century rug from Morocco features an alluring combination of polychromatic color blocks embellished with fantastic textures.